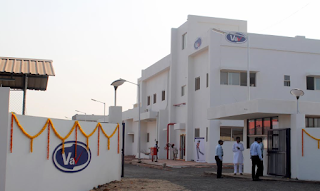 Mumbai, January 31, 2017: One of the top phospholipid manufacturers, VAV Life Sciences inaugurated its cGMP compliant Phospholipid manufacturing plant in Mirjole, Ratnagiri, Maharashtra. The plant is set up in India considering the emerging healthcare applications of lecithins & phospholipids in functional foods, nutritional supplements, novel pharmaceuticals and cosmetics. With the plant, the company will mark products manufactured at the factory with a ‘Made in India’ label and will export 80% of them to North America, Europe, Asia and ROW region. The existing brands manufactured include LECIVA, LIPOVA, OLEOVA. The first phase of the plant is spread across 30,000 sq.ft. with EU cGMP standard facilities. The facility utilises state-of-the-art technology, which allows the production of its all-natural higher grade of phospholipids ingredient in accordance with the global industry standards. Most phospholipids are derived from nature, hence classified as GRAS (Generally Recognised as Safe) by US FDA. Through the plant, VAV Life Sciences will be building distinct production lines for refined soya, egg and synthetic Phospholipids. Ratnagiri location was the first choice to set up this plant due to its excellent infrastructure facilities, conducive business environment, suitable weather conditions and quality trained manpower. VAV Life Sciences Pvt Ltd is committed to produce pure, high-quality products with minimal damage to the environment, built as ‘zero discharge’. In addition, the advanced and well-equipped R&D facility is designed to support product development and research. It also offers ingredient systems that are supported by the highest level of scientific data, technical quality and safety.